In recent years, CCTV has become a more prevalent topic of conversation, featuring in national and international media, particularly in high-profile investigations. The Security Institute, in its latest Good Practice Guide, supported by Dallmeier UK, brings the subject bang up to date by covering in some detail the issues of procurement, good management and legislation that managers of such systems need to be aware of. 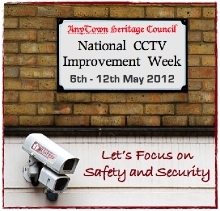 Much has been written about CCTV, albeit rarely from an informed single source. This latest guide has sought to provide a definitive resource to address the requirements when looking at this area of security. Image quality and integrity are of the highest importance in any CCTV system. The quality of an image is directly related to the constituent components, from the camera through to the recorder and, if applicable, the monitoring. All of these topics and more are covered in this excellent guide which has been written by CCTV experts who are members of the Institute. Led by renowned CCTV expert Gordon Tyerman with fellow Institute members, this guide is a must-have for all practicing or aspiring security professionals who manage CCTV systems or are involved in their procurement. Written in simple, easy to understand language, the guide is designed to demystify some of the more technical and legislative issues. This guide will be launched at 2.00 pm on Wednesday 16th May on the Dallmeier stand D80, Hall4 at IFSEC (running at the NEC in Birmingham from 14-17th May 2012), where copies will be available to buy at the special discounted price of £20 each (normal price £25) and the price for Institute members is £15. Pre orders are being taken via the website at www.security-institute.org. The Security Institute is the largest association for security professionals in the UK, with over 1100 members including directors and corporate heads of security, consultants and budget holders, in the private and public sector. As part of its commitment to education and raising standards, the Institute publishes useful guidance for practitioners. This book is the third in a series of Good Practice Guides produced by the Security Institute, the first two covering Workplace Investigations and Risk Management. Dallmeier has at its disposal more than 25 years of experience in transmission, recording as well as picture processing technology and is an outstanding pioneer of CCTV/IP solutions worldwide. This profound knowledge is used in the development of intelligent software and high quality recorder and camera technologies enabling Dallmeier to not only offer stand-alone systems, but complete network solutions up to large-scale projects with perfectly integrated components. Right from the beginning the company always focused on own innovative developments and highest quality and reliability. Dallmeier is the only manufacturer in Germany that develops and manufactures all components on its own. This includes the entire product range, from cameras to picture storage and transmission to intelligent video analysis and even individually adjusted management systems. Quality made by Dallmeier, made in Germany!